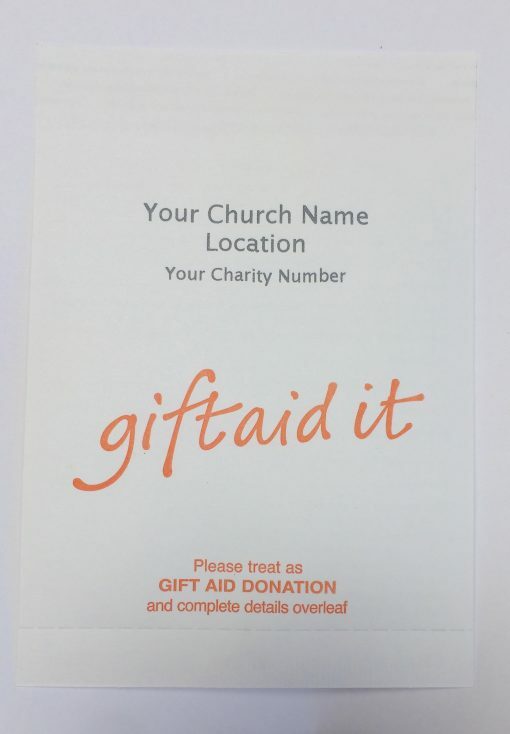 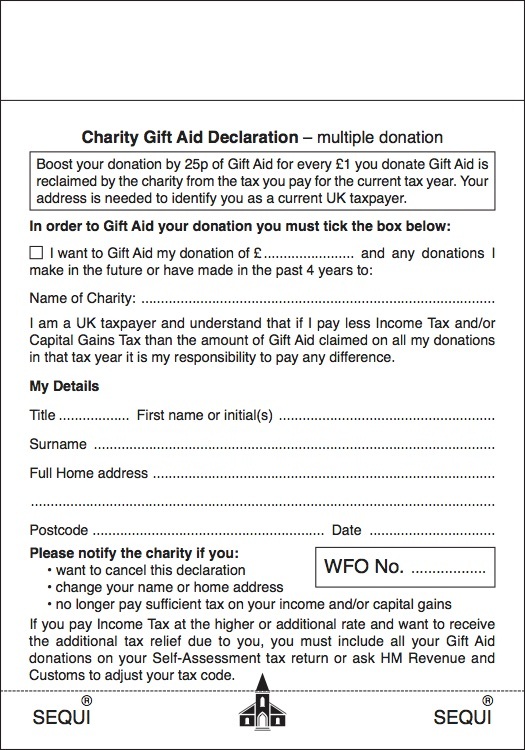 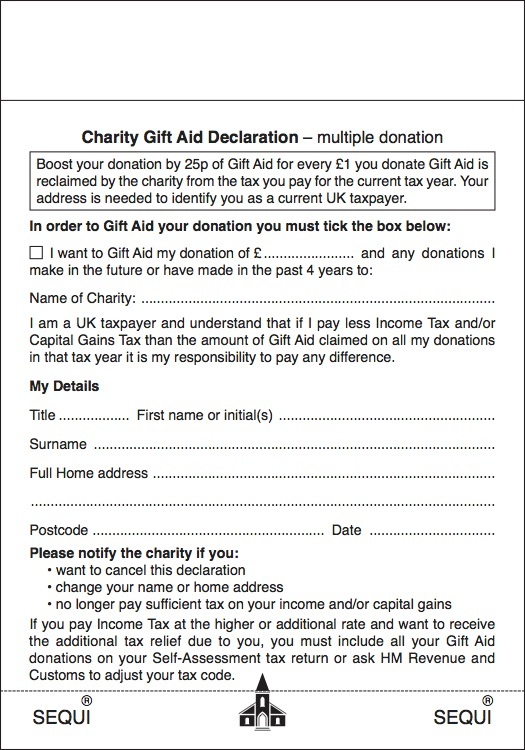 With the advent of the GIFT AID SCHEME in April 2000 the concept of the Gift Aid envelope has flourished. 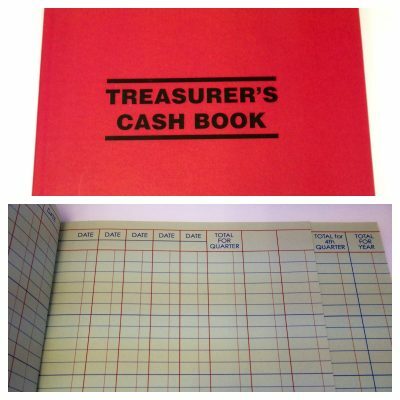 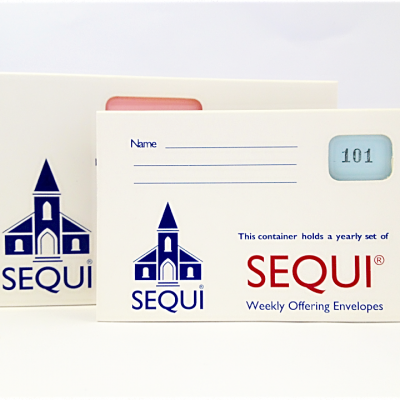 Our envelopes are unique as they were the FIRST self-adhesive single pocket envelopes on the market that can be individually tailored to a church or charity. 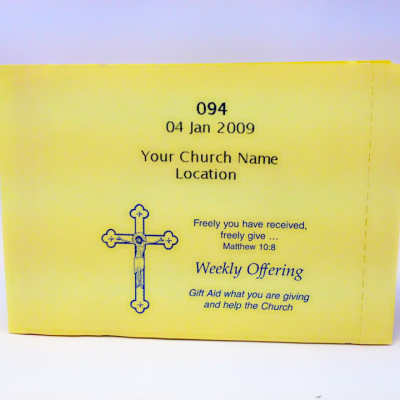 Our envelopes include a design of your choice from our range, your church name and location, individual numbering and dating and even a specific event. 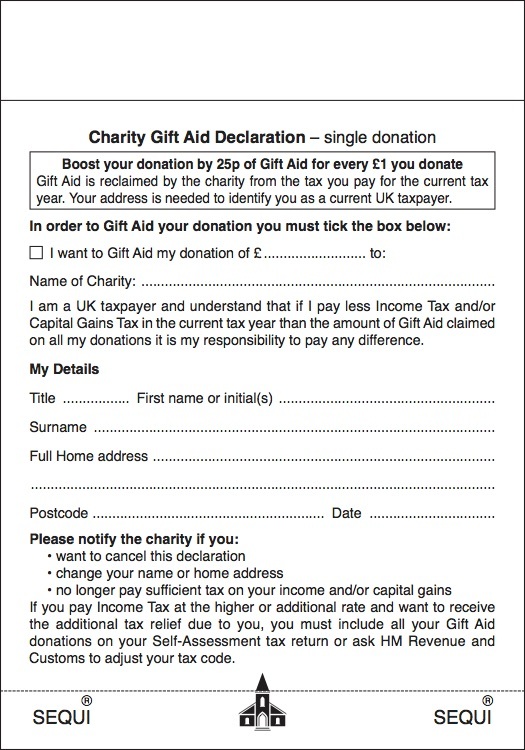 Each envelope includes a gift aid declaration on the back as approved by the HMRC Charities Section. 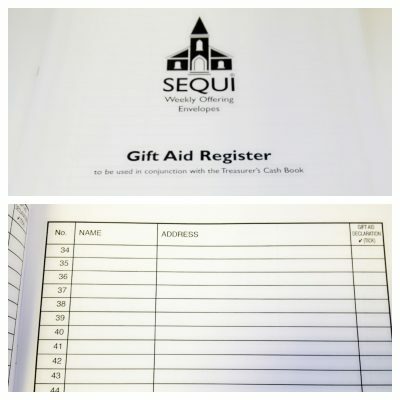 Click the links below to view the declarations and their wording.